John Prendergast co-founded the Enough Project, was a Special Advisor to the State Department, and directed African Affairs at the National Security Council. Please join us this Friday at 3PM for a discussion of violence in Darfur, the Sudanese elections, and efforts to create peace in Sudan. 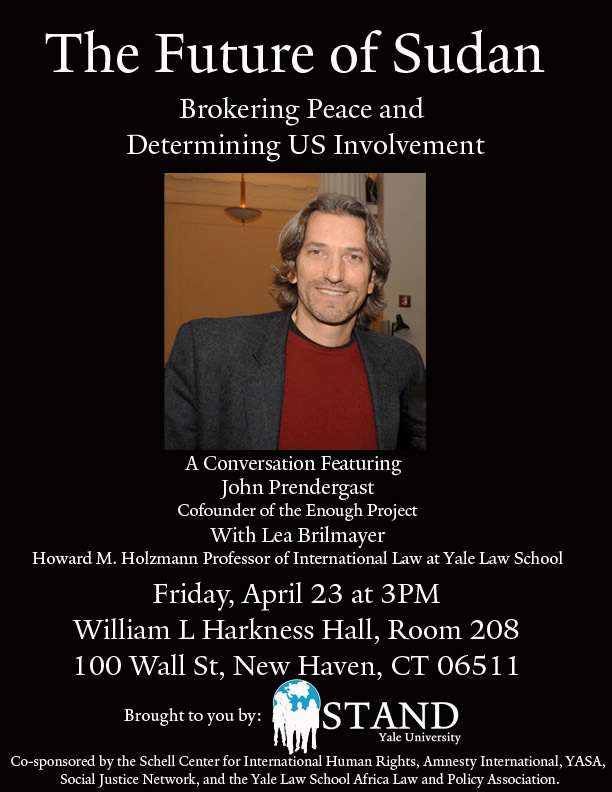 Co-sponsored by the Schell Center for International Human Rights, Amnesty International, Yale African Student Alliance, Social Justice Network, and the Yale Law School Africa Law and Policy Association.